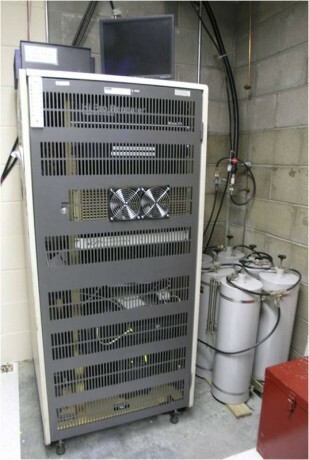 In August 2015, a new capability was added to the WTRA Repeater inventory. This is a UHF repeater coordinated for 442.825 / positive / 100 Hz tone and built using a Yaesu DR-1X repeater and is interfaced to the system through the RC-210 controller. This repeater feeds the 310 ft main antenna through a duplexer/diplexer. This repeater runs approximately 20 watts output and has an effective mobile range of about 15-20 miles. Join us for the weekly WTRA/ARES-RACES D10 Net on Thursday evenings at 7:30 pm Our club works very closely with RACES, ARES and SKYWARN. They are the service foundation for our repeater. Our coordinated repeater is on 147.195 (+600 KHz input) using CTCSS of 100.0 Hz on the transmitter when conditions demand it. This is a very high profile open repeater with available autopatch, remote base, IRLP, Echolink and DVR. The remote base allows users to link to any VHF or UHF repeater from Richmond, the eastern shore, and well in to North Carolina. It has the largest coverage footprint of any repeater in Hampton Roads. The IRLP system (node 8373) allows for linking world-wide. The repeater system is comprised of a Yeasu DR-1X repeater controlled by an Arcom RC-210. It drives a commercial 130 watt Henry Radio amplifier feeding a Wacom Products WP-643 six cavity BpBr duplexer with a pair of co-phased Andrew DB224-E dipole antennas (8 dipoles total) at 324 feet located at the Isle of Wight County courthouse just 5 miles south of Smithfield. The repeater’s ERP is 490 watts. The repeater system is interfaced to a Remote Base and Echolink/IRLP via an RLS-1000 port switch. The repeater covers the south east Virginia region from Richmond to North Carolina and the Virginia shore. The remote base antenna is a Diamond VHF/UHF at 150 feet.